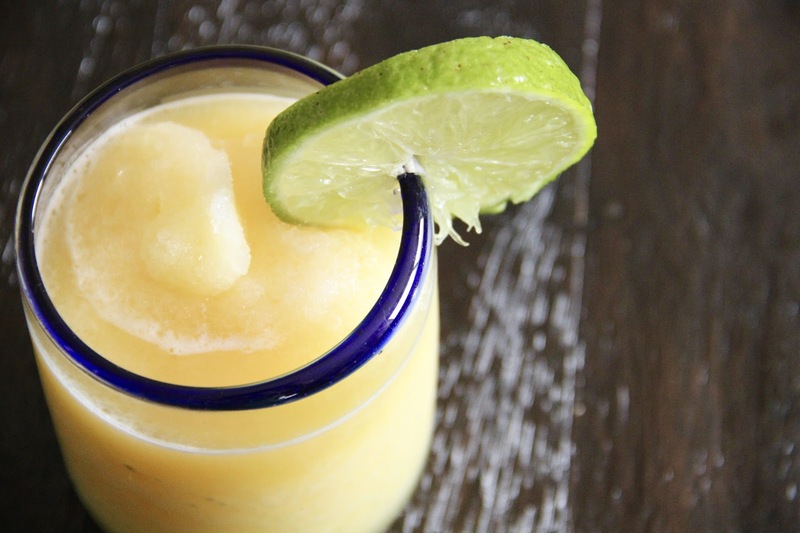 I love a good frozen drink, whether it's coffee or fruity, if it's crunchy and cold I'm all about it. 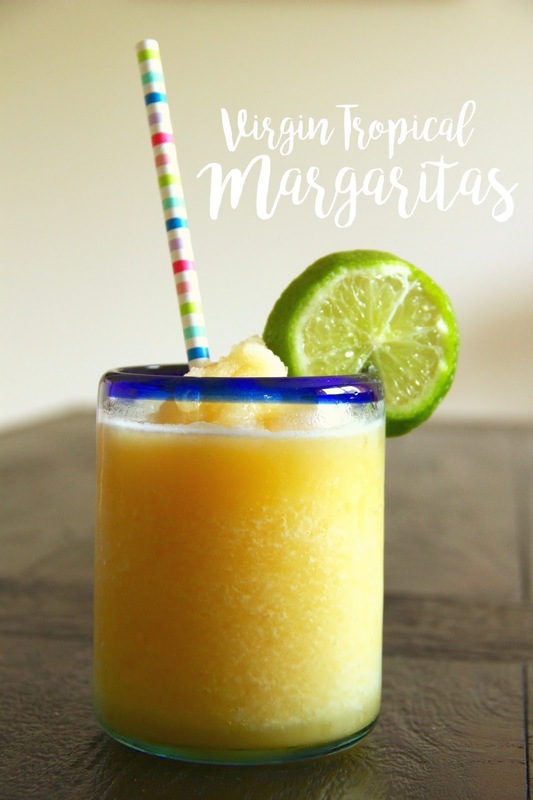 As a new [nursing] mama I'm currently looking for alternatives to some of my favorite alcoholic drinks. Like most of you know, we throw a monthly Supper Club, and it was our turn to host this last time. Husband has himself a new smoker, and he takes any opportunity to throw meat on it, which I happily oblige to (have you smelled a smoker going?! It's heaven!). Since he had been itching to smoke pork, we ran with it and decided pork tacos and all the fixings would be perfect for a Fiesta theme. And you can't have a themed meal without the right drink. 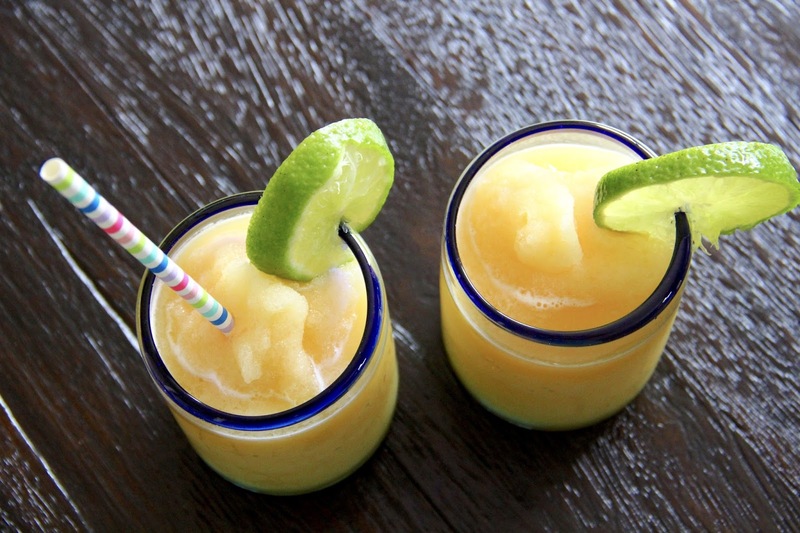 Cue the frozen margarita! 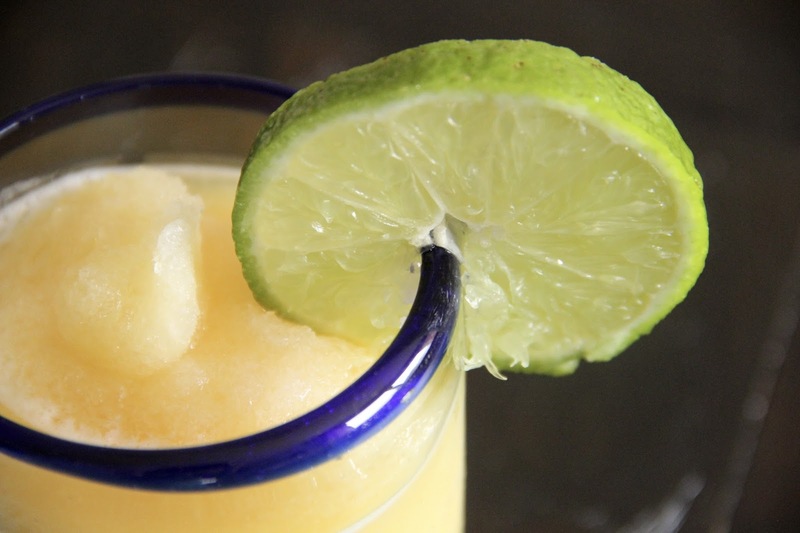 Combine all the ingredients in a blender and blend until slushy. 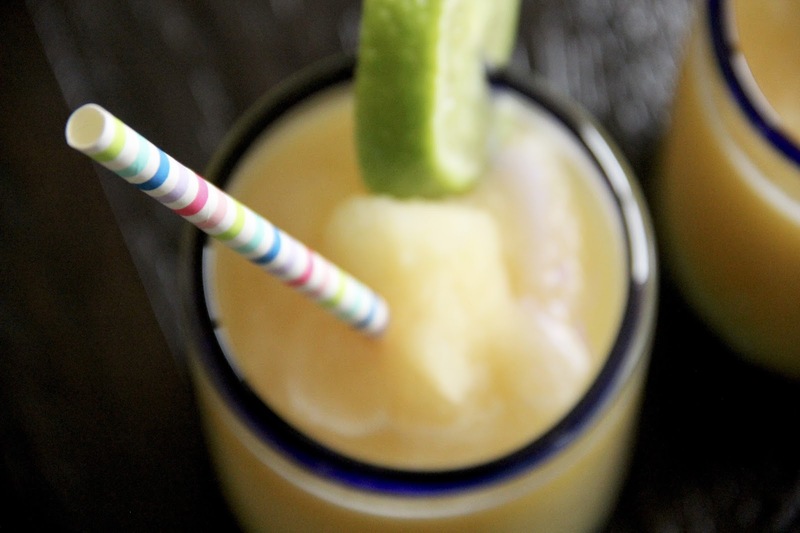 Add ice as you go to reach your desired consistency. Garnish with a lime slice for a little something special!